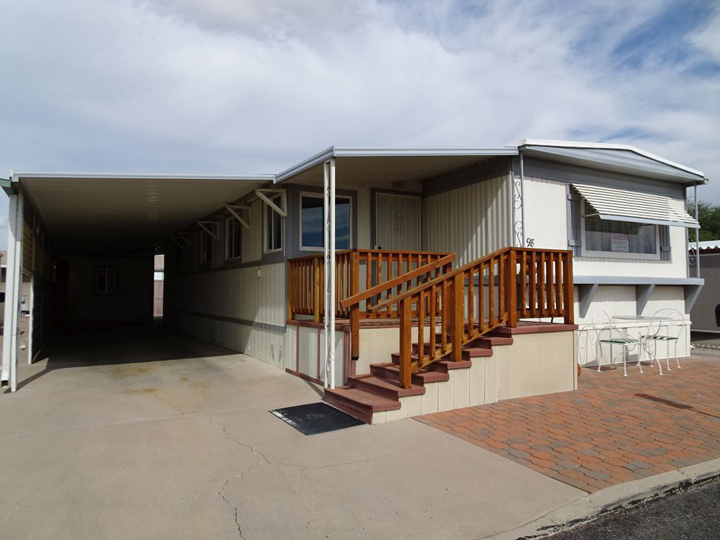 Enjoy affordable adult living in this 2 bedroom 2 plus bath Malibu home with expanded living areas and a fenced private patio area to entertain and lounge in any time of day. 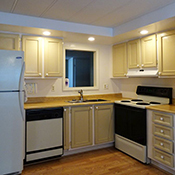 This home includes a center, eat-in kitchen with electric range, dishwasher, refrigerator and a serve thru to living room area. 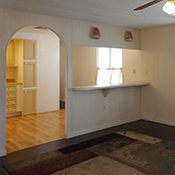 The front bedroom has an attached bathroom, the back bedroom has an attached full bath. 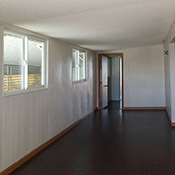 The 8X40 addition has an office area, a 1/2 bath and leads out to your covered patio area with custom shed. The outside has a concrete drive with covered parking, A/C unit, water-softening system, and a front railed porch to watch the sunsets from. 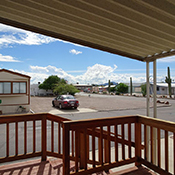 Great location – close to the clubhouse and pool - in the Comanche Wells 55+ cooperative community. Quick Possession Available! Call for an appointment.